Do you have comic books to sell? You could be sitting on a gold mine! Flipsy.com spoke with five comic experts to discover the most valuable comic books and to help you find out how much your comics are worth and where to sell them. We reached out to experts to answer your questions about valuating and selling comic books. We do this as a service to introduce who we are: experts in finding a place to sell your phone. Use Flipsy to find your phone’s value plus get offers from more than 20 stores who compete to pay top dollar. 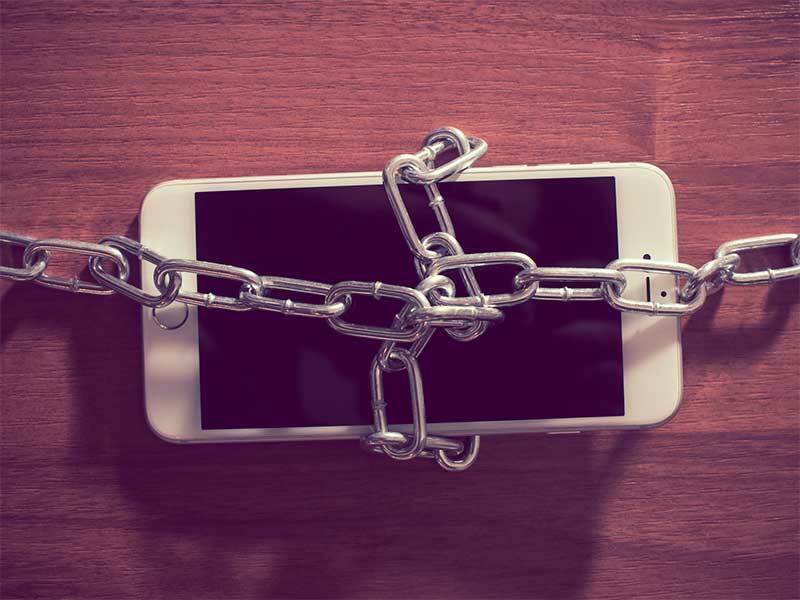 Stores are trust verified, offer free shipping and pay within a few days of receiving your phone. Best wishes and thanks for visiting! What are the most valuable comic books? What makes comic books valuable? 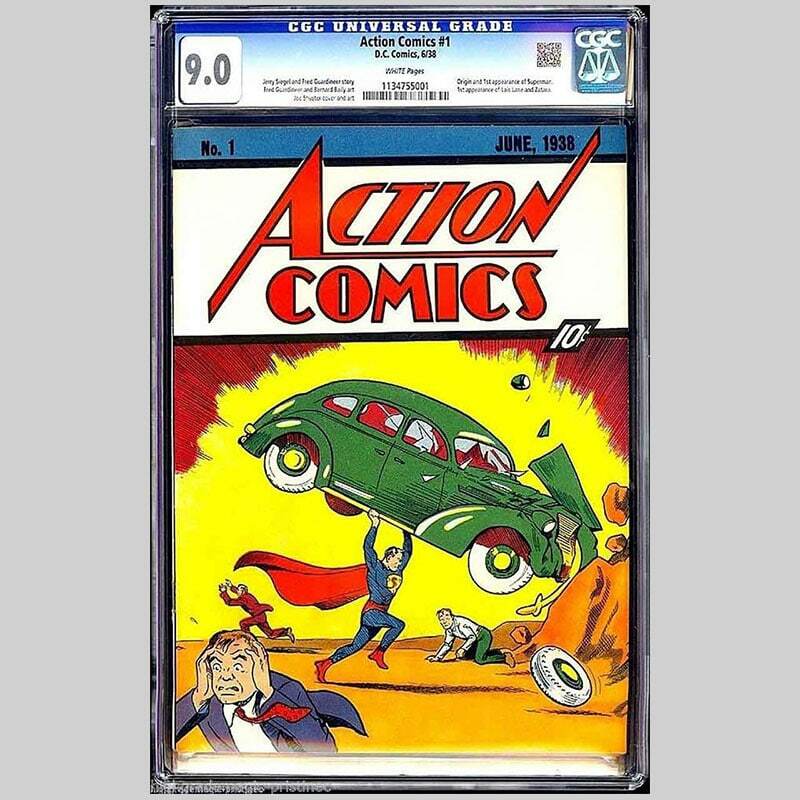 The highest price ever paid for a comic book was $3.2 million ($3,207,852, to be exact) for a 9.0 CGC-graded copy of Action Comics #1, which was the first comic to feature Superman. The record-setting price was set in 2014 during an eBay auction. Schwartz is referring to the most expensive comic book ever certified and sold on the open market, but there is an even more valuable copy of Action Comics #1 – dubbed the “Mile High” copy – that has never changed hands on the open market, says Ashley Cotter-Cairns, president of Sell My Comic Books. IMAGE: Action Comics #1. Source: Kevin Segall. 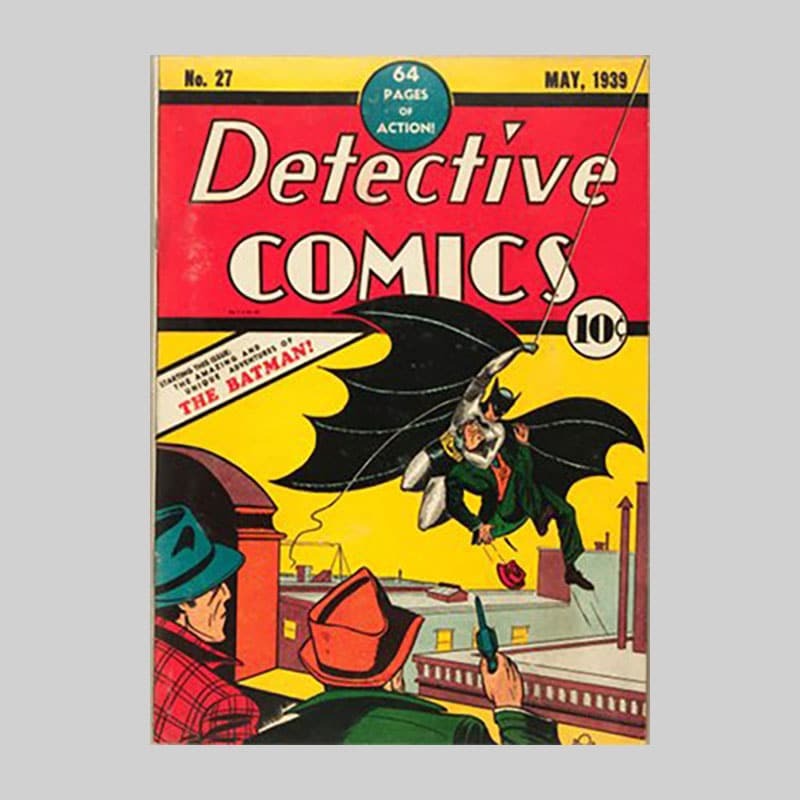 Enormous sums have also been paid for Detective Comics #27 ($1.07 million), which features the first appearance of Batman, and Amazing Fantasy #15 ($1.1 million) – the first appearance of Spider-Man. “Those are the big three in terms of demand and notoriety, but there are many comic books that are highly valuable,” explains Jason Crosby, consignment director at ComicLink. Those same comics would be worth even more if they became available today. “It has been many years since they last changed hands, and these prices would be shattered if the best-known copies were to come back to market,” says Cotter-Cairns. Entire comic collections can be worth even more. In 2012, a man found 345 comic books in his great aunt’s closet – and that collection ended up selling for $3.5 million at auction. Other “found” comic collections have fetched as much as $175,000 on the auction block. Though many comic books are highly valuable, these sums aren’t indicative of the average value of comic books – which Cotter-Cairns says is around 25 cents. The value of a given comic book is determined by multiple factors, though there are some general guidelines that can help identify whether a comic is valuable or not. “Generally speaking, these are valuable when compared to their direct peers: superhero and gory horror comics from the Golden Age, big-name superhero comics from the Silver and Bronze Age, and by the time the 1980s began, Copper to Modern Age, just a relative handful of issues amongst a sea of low-value stuff,” he says. 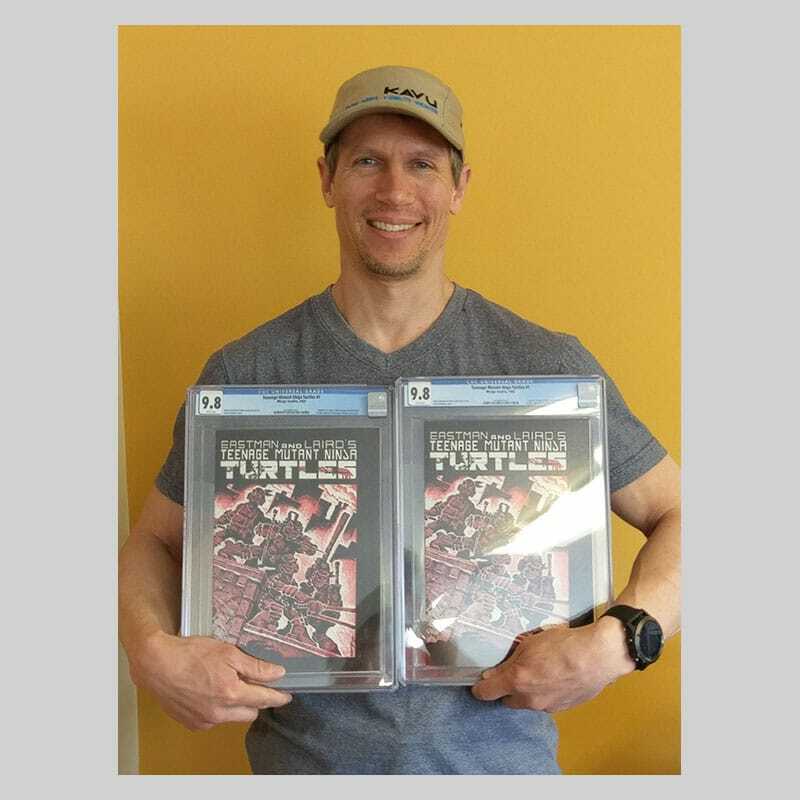 IMAGE: Sean Goodrich, co-owner of Sell My Comic Books, with two CGC 9.8 copies of Teenage Mutant Ninja Turtles #1. Only 24 copies are known to exist. Source: Ashley Cotter-Cairns. The more desirable a comic book, the greater its demand and the higher its value. “Desirability is often determined by the popularity of characters, especially first appearances, significant storylines and seminal issues, artists, writers, and premiere issues,” says Kevin Segall, owner of Collector’s Shangri-La. Demand is highest for first appearances of major heroes and villains, as well as other comics that have historical significance. IMAGE: Walking Dead #1. Source: Ashley Cotter-Cairns. Generally speaking, the rarer a comic book, the greater its value; however, Cotter-Cairns says demand is far more important than supply when it comes to comic book value. 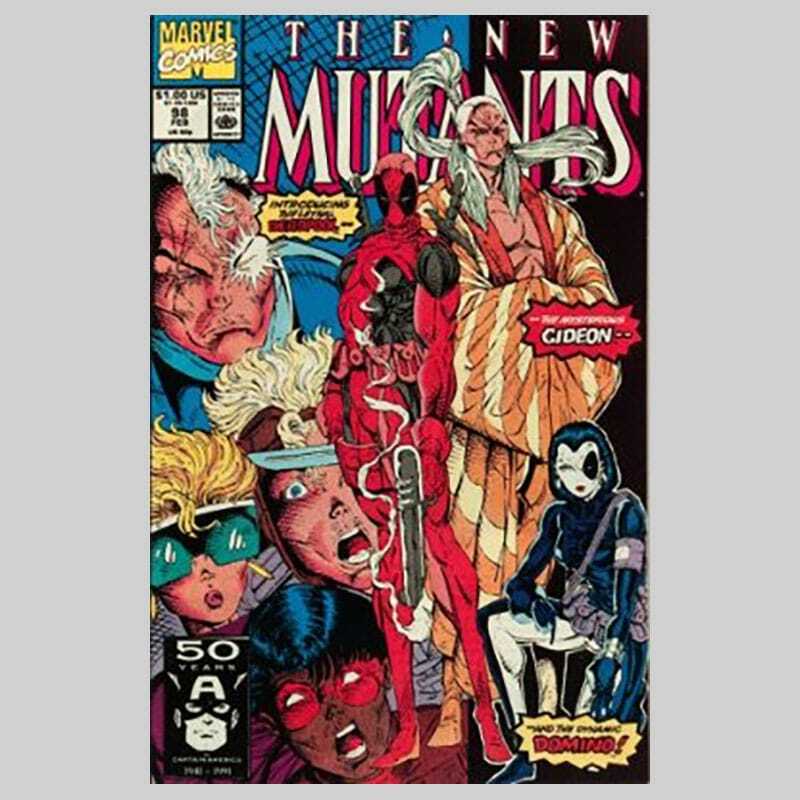 Despite ample supply, New Mutants #98 has sold for more than $1,000. In contrast, the record sale for a copy of 1942’s New Funnies #69 is $275 – even though there are only seven certified copies in the world. IMAGE: The New Mutants #98. Source: Ashley Cotter-Cairns. Every comic book belongs to a specific comic book age, or era, defined by the time period in which it was printed. You can tell which age a comic book belongs to by its publication date and its cover price. Note: These publication dates are approximate, as not everyone agrees on when one age ends and another begins; thus, there is invariably some overlap. For example, some experts place the Copper Age from 1981 to 1991, and others argue that the Modern Age should begin in 1992. There are also exceptions to the cover price guidelines: Marvel annuals and specials, for example, were published in the 1960’s with cover prices of 25 and 50 cents; while special one-off books, like the New York World’s Fair comic from 1939, were 15 cents – a 50% premium for a comic book at the time, says Cotter-Cairns, who warns to be mindful of reprints, since some high-value comics have been reprinted multiples times and are not as valuable as the original printings. “Different artists, stories, and cultural motifs help to designate the age of comics,” says Schwartz. For example, the Golden Age represents the introduction of superheroes, whose popularity gave way to crime, horror, and science fiction comics in the Atom Age, says Crosby. Superheroes made a comeback in the Silver Age, when Marvel Comics segued from publishing horror and monster comics to the Fantastic Four and Spider-Man comics. IMAGE: Amazing Fantasy #15. Source: Ashley Cotter-Cairns. 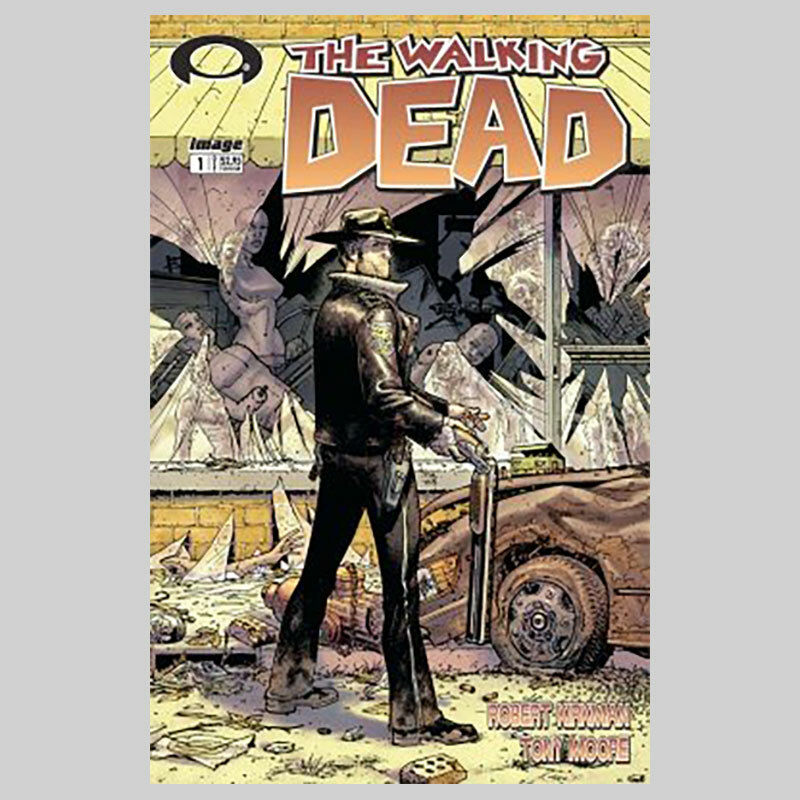 Condition has a significant impact on comic book value; however, it can be challenging for novices to judge the condition of a given comic book. 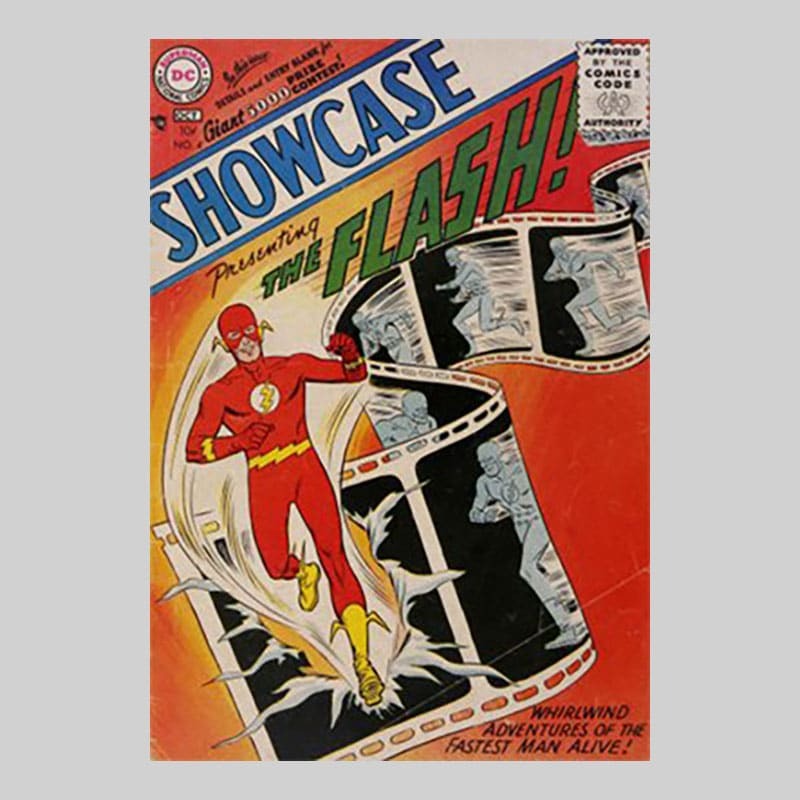 IMAGE: Showcase #4. Source: Ashley Cotter-Cairns. Mint: The best example of a comic book ever seen. Perfect, or as near to perfect as possible. Near Mint/Mint to Very Fine: Nearly perfect with only minor imperfections that keep it from the next higher grade. The overall look is as if it were just purchased and read once or twice. Very Fine/Near Mint to Very Fine: An excellent copy with outstanding eye appeal. Sharp, bright, and clean with supple pages. A comic book of this grade has the appearance of being carefully handled. Fine/Very Fine: An above-average copy that shows minor wear but is still relatively flat and clean with no significant creasing or other serious defects. Eye appeal is somewhat reduced because of slight surface wear and the accumulation of small defects, specially on the spine and edges. A fine condition comic book appears to have been read a few times and has been handled with moderate care. Very Good/Fine to Very Good: The average used comic book. A comic in this grade shows some significant moderate wear, but still has not accumulated enough total defects to reduce eye appeal to the point that it is not a desirable copy. Good/Very Good to Good: This grade shows substantial wear; often considered a “reading copy.” Comics in this grade have all pages and covers, although there may be small pieces missing. Books in this grade are commonly creased, scuffed, abraded, and soiled, but still completely readable. Fair/Good to Fair: A copy in this grade shows heavy wear. Some collectors consider this the lowest collectible grade because comic books in lesser condition are usually incomplete and/or brittle. Comics in this grade are usually soiled, faded, ragged, and possibly unattractive. This is the last grade in which a comic remains generally readable. Poor: Most comic books in this grade have been sufficiently degraded to the point where there is little or no collector value; they are easily identified by a complete absence of eye appeal. Comics in this grade are brittle almost to the point of turning to dust with a touch and are usually incomplete. Note that if you have a comic book that seems to be in excellent condition, it’s important to make sure it wasn’t restored. If you’re not sure what condition your comic books are in, you can have them graded by companies like Certified Guaranty Company (CGC) or Comic Book Certification Service (CBCS). Once graded, these companies can seal your comic in a plastic case, known as a “slab” by collectors. The slab not only protects the comic book, it ensures it has maintained its condition at the time of grading – once a slab is opened, the grade becomes invalid. Slabbing costs around $25 per comic graded, plus shipping. IMAGE: The Incredible Hulk #181 (first appearance of Wolverine). Source: Ashley Cotter-Cairns. As stated, most comic books are worth their cover prices or less, though some can be worth a lot more. IMAGE: Marvel Spotlight #5. Source: Ashley Cotter-Cairns. So, how can you tell if you have a stack of relatively worthless comics or a diamond in the rough worth tens of thousands of dollars? NOTE: The more you know about the comic, the easier it will be to determine its value. However, you don’t need to spend countless hours tracking down every detail. “The average person selling comics will waste dozens of hours if they list artists, try to grade their condition, etc. We strongly discourage our visitors from wasting time. Stick to title and issue number,” says Cotter-Cairns. The official title and issue number can be found on the indicia, which is a block of text typically found inside the book, on the bottom of the first page. A common mistake is to list the wrong title based on words found on the cover that are not included in the official title. The Overstreet Comic Book Price Guide has long been considered the Bible of comic book pricing. However, experts warn that the prices listed in the guide shouldn’t be taken as gospel. “This book will generally tell you what prices you would likely pay retail in store, not the price you would be likely to get if you sold it yourself, though there is a correlation,” says Segall. You can follow the auctions on ComicLink to stay in touch with current market trends. Sell My Comic Books offers free comic book appraisals. You can follow their step-by-step guide, which includes video tips, to identify your comic books and prepare a list of the information they need to offer an accurate estimate. See if your comics are included on their list of the 50 most valuable comics by era. Search for your comic book on eBay, then select “sold listings” in the sidebar to view only completed real-world transactions. IMAGE: Teenage Mutant Ninja Turtles #1. Source: Ashley Cotter-Cairns. If you know you have a particularly valuable comic, it might be worth having it professionally appraised. Just make sure you think the value justifies the investment in appraisal, which can range between $100 and $500 per hour. IMAGE: Batman Adventures #12. Source: Ashley Cotter-Cairns. There are multiple places you can sell comic books, including online comic book stores, local brick-and-mortar comic shops, auction websites, auction houses, and local classifieds. Below, we’ll break down the pros and cons of each; but first, it’s helpful to understand what motivates different types of comic book buyers. It can be helpful to understand comic book sales from the buyer’s perspective; once you know the buyer’s needs and motivations, you can more easily arrive at a fair price. We asked Bob Bretall, Guinness World Record holder for the world’s largest comic book collection, to lend insight into what motivates comic book buyers. Bretall’s collection mostly consists of comics graded between 4.0 and 6.5. He says he will not buy a comic that does not have good eye appeal. Bretall says most collectors want high dollar value and high-grade comics, which means prices for comics graded below 5.0 are soft – creating a buyer’s market. He often buys comics in 4.0 to 5.0 condition at 30 to 50 percent discounts off the guide price. Bretall says there’s a feeding frenzy for high-grade comics as investments, which skews the market. He actively avoids buying high-grade comics because he doesn’t want to pay 10 or 20 times the price of a mid-grade copy – serious money for some comics. Here’s a list of places you can sell your comic books, including pros and cons for each. Online comic stores and bookstores are staffed with experts who understand the value of your comic books, which means sales are quick and your payment will arrive a few days after they receive your comics. These companies offer cash payouts, though many additionally offer consignment services and store credit (which can net more value if you’d like to buy new comic books post-sale). Though fast and convenient, online comic stores and bookstores generally do not pay top dollar for comics because they need to resell your comics for a profit on the retail side. The trade off is you do not need to deal with the hassles of selling your comics to collectors: customer service, answering customer questions, invoicing, packing and shipping, returns, missing items, complaints, and relisting unsold items. Sell My Comic Books is owned and operated by Ashley Cotter-Cairns, who is an advisor to the Overstreet Comic Book Price Guide – largely regarded as the authority in comic book pricing. Expect quick payouts via cash, wire transfer, PayPal, certified check, MoneyGram, or Western Union. In addition, Sell My Comic Books pays for and arranges all shipping and handling. Start the process by sending a list of your comics to get an offer and next steps. Founded by the father/son team of Dylan and Paul Schwartz, Dylan Universe Comics will buy individual comic books and entire collections. The company offers free shipping (via PayPal or shipping label) and pays you before you ship your comic books, eliminating much of the risk of selling via mail. Payments are submitted quickly via PayPal, cash, certified check, MoneyGram, or money order. To get started, contact Dylan Universe Comics with a list of the comics you have to sell (and include photos if you have them), their ages and conditions, and your location. If you have a large or valuable collection, Dylan Universe Comics will travel to you. A family business that began in 1961, Lone Star Comics offers multiple selling options: you can either send a list of your comics to receive an offer before you ship; or, you can speed up the process by shipping your comics to them first for valuation. Lone Star Comics also features a “Want List.” If your comic book is on the list, you can instantly see how much they’ll pay for it. Comics valued at $50 or more can be sold via Lone Star Comics’ consignment service, which includes free grading plus listings on MyComicShop.com and eBay. Commission fees are charged on a sliding scale, from 10% for items that sell for less than $300 to 6% for items that go for more than $3,000. The company will travel to you if you have a large collection or estate, and you can visit their warehouse in Arlington, Texas, to get an in-person offer. Once your comics are received, it takes around 10 business days to process them and payouts are mailed within 2 business days. If you opt for store credit, it will be applied within one business day. Though you’ll pay the initial fees to ship your comics, Lone Star Comics offers a shipping rebate. Boasting six brick-and-mortar locations in addition to its online presence, New Dimension Comics has been buying and selling comics since it was founded by Overstreet Comic Book Price Guide advisor Todd McDevitt in 1986. Send a list of the comics you have to sell directly to McDevitt to get an offer and next steps. Based in Vancouver, Washington, where it operates a brick-and-mortar comic store, I Like Comics additionally buys comics online. The company pays via your choice of cash, trade, or store credit. To get started, fill out their online form to see if they’re interested in buying your comic books. Get Cash For Comics buys vintage comic books, CGC graded comics, and entire comic collections. The company claims that no store pays more cash than they do – 80% to 90% of what you could sell for on eBay without the hassle of an auction or commission fees. If you have a large collection, Get Cash For Comics will travel to you or pay for you to fly to them. Get an offer by calling, emailing, or filling out their online contact form. Sparkle City Comics buys both vintage and modern comics directly, plus offers consignment services. The site claims it can beat any offer. If your comics are particularly valuable, Sparkle City Comics will travel to you. The company offers free appraisals for any comic that has an Overstreet Comic Book Price Guide value of $1,000 or greater. The website doesn’t indicate who pays for shipping or how fast payments are sent, though it does say Sparkle City Comics pays in cash. If you sell via consignment services (your comic must have a minimum $300 to qualify), you’ll be charged a commission between 10% and 25%, depending on how much it sells for. Get started by completing the online form. This Minneapolis-based store also buys comics online, either via cash or trade in (they typically offer 10% to 25% more in trade value versus cash). Nostalgia Zone doesn’t normally sell on consignment, but it is an option that can be discussed. Call or email with a list of the comics you have and the condition they’re in to see if Nostalgia Zone is interested in buying them. 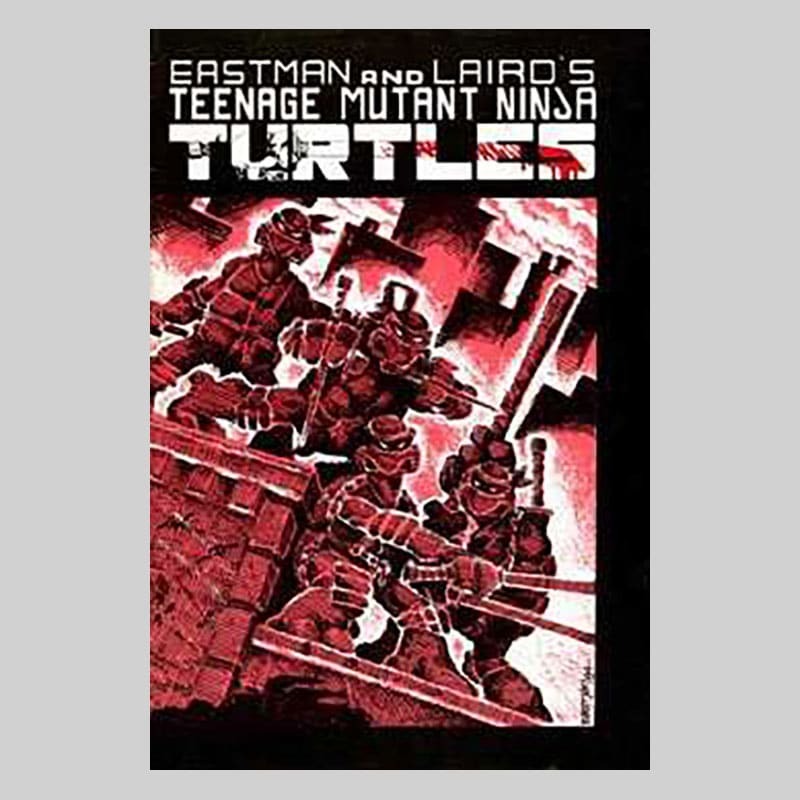 Lee’s Comics specializes in vintage comic book collections, though they’ll also buy comics produced from the 80’s through the Modern Age as well as pay small bulk amounts for long boxes. To learn more about the process and get an offer, make a list of the comics you have to sell and contact them directly. 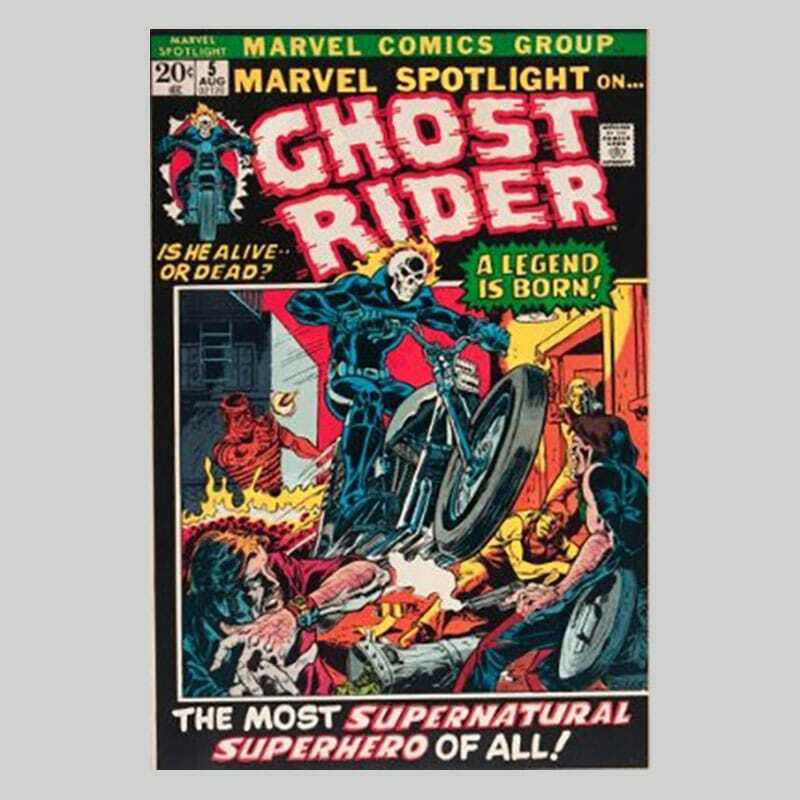 Superworld Comics buys Silver Age Marvel and DC comics, Golden Age and Bronze Age comics, pre-code horror and science fiction comics, pre-hero Marvel comics, and miscellaneous comic books like westerns and romances. Their focus is on comics published from the 1930’s through the 1970’s, but they’ll consider all comics and collections. If you have a large or valuable collection, they’ll travel to you. Contact them to learn more. Midtown Comics buys vintage comics from the golden, silver, and bronze ages, as well as other key issues regardless of age. Few details are provided on their website; contact them about selling your comics for more information. You can sell your vintage comic books to BB Novelties, which pays a flat rate per comic based on its original pricing as follows: $1.50 for 10-cent covers, $1 for 12-cent covers, and 20 cents for 15-, 20-, and 25-cent covers. BB Novelties also purchases entire comic collections. The company will pay for shipping if your comic books are worth more than $25. Confirmation emails are sent within one week of your shipment arriving at their location, and PayPal payments are issued within one day of that. Owned by Jon R. Warren, who authored the Wizard Prize Guide to Comics and spent ten years as senior price guide editor of that publication as well as senior price guide editor for The Overstreet Update for ten years before that, We Buy Comics purchases a variety of comics spanning the golden, silver, and bronze ages, as well as rare first issues, 10- and 12-cent comic books, and more. The company prefers to buy large collections, but will also purchase single comics. You can check out their “Wants List” to get an idea of the types of comics they’re currently interested in – just understand that the list is not comprehensive. Contact We Buy Comics for more information about how its program works. Metropolis Collectibles sells comic books on consignment, and states its fees are lower than traditional auction houses: it charges “only a small consignment fee” versus the standard 15% rate charged by auction houses. Some comics are eligible for cash advances up to a half-million dollars. The website does not provide details for payment method and timeframe, so you’ll need to contact them directly for more information. GDC has more than 30 years’ experience buying comic books and purchases a range of editions from the Golden Age to contemporary issues. The company will buy comic books in any grade, from poor to mint, and buys whole collections (no cherry-picking for the best comics) as well as inheritances. GDC offers quick payment and will travel worldwide. Contact Gary Dolgoff Comics to learn more. DRC buys individual comic books and entire comic collections spanning all comic ages. The company offers cash payouts and will travel nationwide to review comic collections. Contact Dale Roberts Comics to learn more. Selling your comics at auction can net a higher sales price than selling to comic stores, but you need to account for commissions and other selling fees. It could take awhile for your comic books to sell at auction – if they sell at all – but it’s also possible you’ll get a quick sale. Payouts are typically submitted via cash, check, or a service like PayPal (which also has fees). 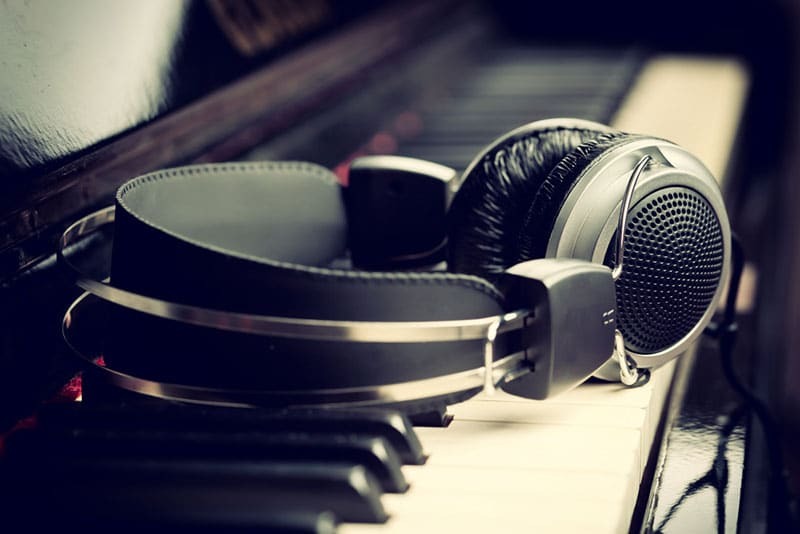 There are multiple types of auctions you can run; examples include traditional auction houses (which typically handle the entire process for you) and selling via online auction platforms (you’ll do most of the work). Be sure you understand all terms and fees before you sell your comics at auction. You can auction your comic books at any of these sites. There are two ways to auction comics on ComicLink. Option One charges a 10% commission but has no listing fees for comics that sell for more than $50 (a $5 fee is charged for items that sell for less than $50). To qualify for this option, your comics must be professionally-graded and they cannot be made available for sale anywhere else. Option Two is full-service, where ComicLink provides grading, escrow services, and storage. They also offer price recommendations to facilitate sales. Like Option One, there are no listing fees. Commissions range between 10% and 25%. Learn more about ComicLink’s auctions. Comic Connect is an auction site dedicated to comic books. The service charges a 10% commission on all sales. If your comic sells for less than $50 you’ll be assessed an additional $5 fee. If buyers pay via a method that incurs fees, such as credit cards or PayPal, 3% is deducted from the final price. When your comic sells, you’ll ship it directly to Comic Connect, which will then send it to the buyer. Payouts are submitted via check within 30 days. One of the perks of Comic Connect is that there are no buyer’s premiums, which makes it an attractive option for buyers. It’s free to create a seller’s account and list your comic books on Reece’s Rare Comics, though there is a $25 minimum value to qualify. If your comics sell, you’ll be assessed a 10% commission (which includes any payment processing fees). Payouts are sent on the 10th of each month. Click here to create a seller’s account. Pedigree Comics offers consignment auctions for qualifying comics that are CGC and CBCS graded. There are three ways to auction your comic books on Pedigree Comics: ship your comics to them, email scans, or upload your own scans. Commissions are assessed on a sliding scale between 5% and 10%, depending on the selling price. There are no buyer’s premiums, which makes Pedigree Comics attractive to buyers. 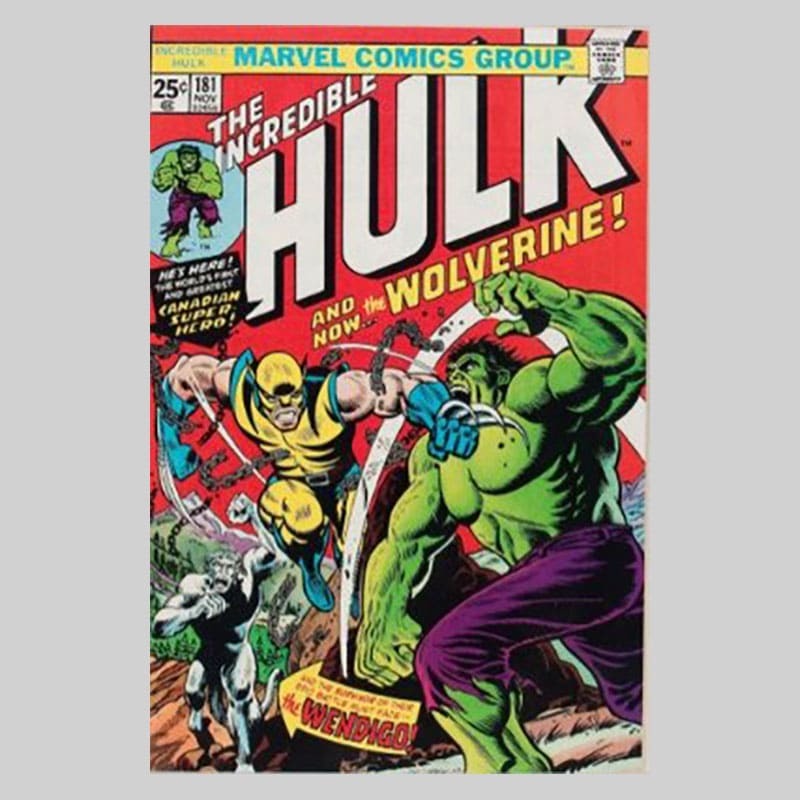 A major player in comic book auctions, Heritage Auctions offers live auctions and online auctions as well as consignment services and private sales brokering. Commissions are dependent on several factors, including final selling price and the type of auction you choose. Contact Heritage Auctions for more information about how to sell your comics at auction. This U.K.-based online auction house is a popular site for comic auctions. It’s free to register and submit your items for auction. Once you do, experts will review your lot and schedule your comic books for auction. If your comics sell, you will be charged a flat 12.5% commission plus VAT tax, for a total of 15% of the final selling price. You do not need to ship your comics until after they sell. Learn more about selling on Catawiki. 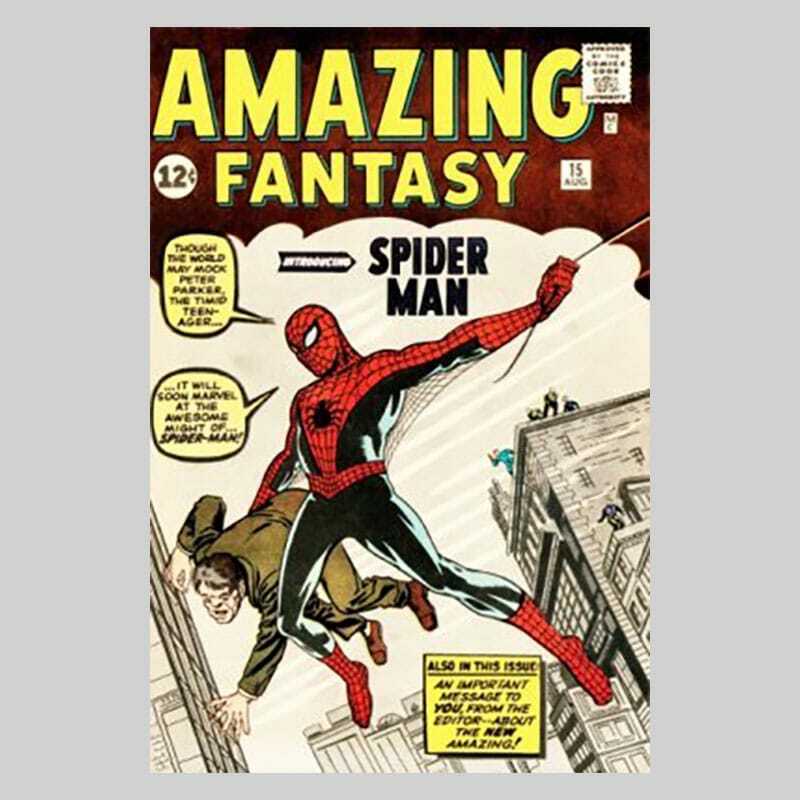 Mound City Auctions boasts more than 600 world record comic selling prices, which makes it an attractive option for sellers who wish to maximize profits at auction. Its website states it offers low commissions (as low as 0%). Learn more about selling via Mound City Auctions. In business more than 50 years, Hake’s offers consignment auctions for comics. 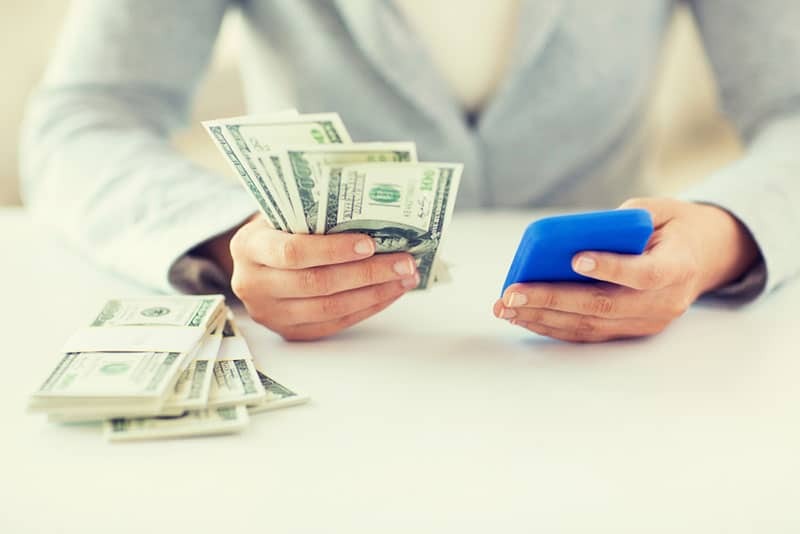 Cash advances are available for high-quality items, and the site promises on-time payments (though it does not make it clear how soon they pay or what commissions and fees it charges). Contact Hake’s to learn more about selling comic books via its consignment auctions. 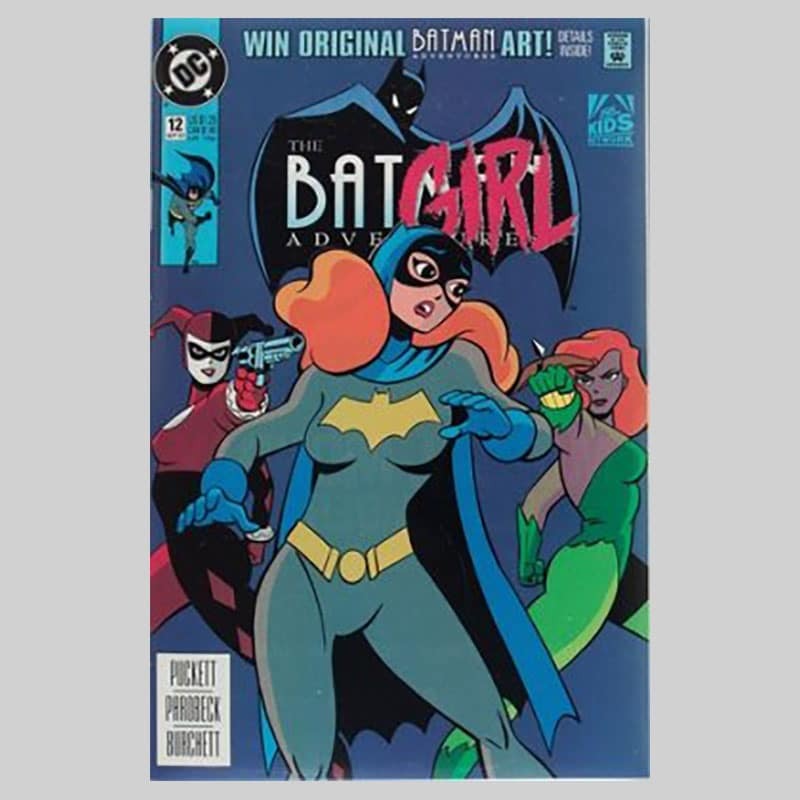 The world’s best-known online auction site is also a popular place to buy and sell comic books. Both private sellers and professional sellers use eBay to run their auctions, and the site is frequented by collectors. Like all auction sites, there is no guarantee that you’ll sell your comics on eBay, but it boasts a massive audience that increases your potential for sale. Your first 50 listings each month are free (though there are fees for upgraded listings). The eBay commission rate is 10% of the final selling price, and you’ll need to pay payment processing fees (like PayPal) if your comic book sells. In addition to a traditional auction format, you can set a “buy it now” price. You can list your comic books for sale on peer-to-peer selling platforms. Some sites charge listing fees or commissions, some do not. Be sure to carefully vet any site you’re considering selling your comics on, as some are unmoderated – which can present potential risks like scams. Others are moderated and provide seller protections like escrow service. Though selling directly to collectors and other buyers might net you the most money, it also requires the most work, since you’ll need to create a detailed listing and deal directly with buyers. If you have a large comic collection to sell, you can set up your own online store with Comic Collector Live. The site gives you your own ecommerce platform and makes it easy to list, since its database already includes photos and descriptions for many comic books. Comic Collector Live charges a $14.95 monthly subscription fee, a 5% commission, and listing fees starting at one cent per comic book. Learn more about Comic Collector Live’s fees. 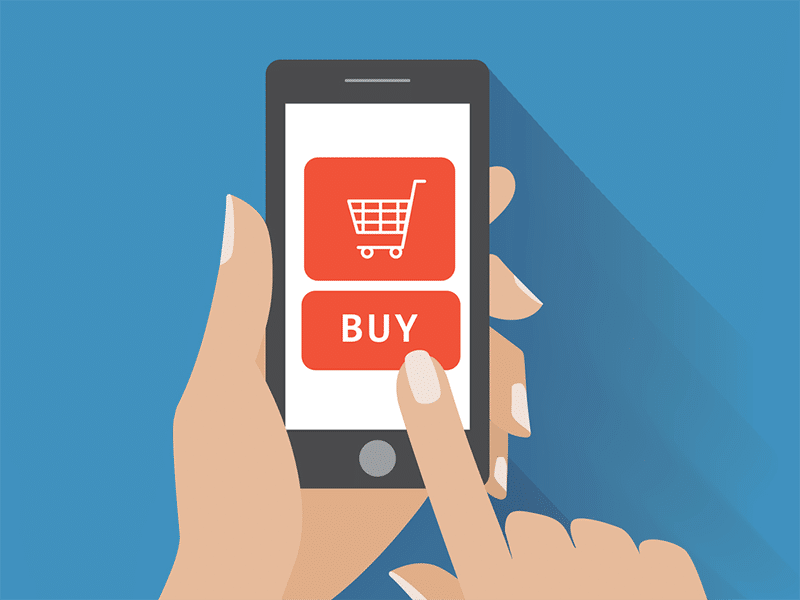 You can sell directly to buyers on Amazon via two plans: individual or professional. The individual plan has no monthly fee and charges 99 cents per listing – best if you have fewer than 40 comics to sell (or if you’re selling all of your comics as a single collection). If you have a lot of comic books to sell, the professional plan costs $39.99 per month but has no listing fees. Both plans incur a 15% referral fee plus a $1.80 closing fee when your comic sells. Alibris lets you post your comics for sale on its site as well as partner sites including Barnes & Noble and eBay. The program costs $19.99 per year for up to 1,000 listings. When your comic book sells, you’ll pay a 15% commission plus a $1 transaction fee (if it sells on the partner network, the commission jumps to 20%). If you have a large comic collection, a professional plan is available for unlimited listings. Abe Books has an international presence that can help you reach a lot of potential buyers. The site charges $25 per month to list up to 500 comic books, plus an 8% commission once your comics sell. Payments are submitted each week via electronic transfer. It might be more difficult to find a local collector via classifieds, but if you do you can make the sale without needing to ship your products. The caveat is there is no moderation and you’ll need to meet the buyer in person. Local classifieds sites and apps include Craigslist, LetGo and OfferUp. Comic book forums and other online communities often include buy/sell threads that allow you to post your comics for sale. Like classifieds sites, there typically is no moderation; however, dedicated communities can be good places to find enthusiastic collectors. Local comic book stores and other bookstores often pay cash and/or store credit for comic books. Like online stores, they need to resell your comics for a profit, so you won’t get top dollar (typically, you’ll get between 30% and 70% of the retail value of your comics). However, they do offer same-day sales – perfect if you need fast cash. Some stores will sell on consignment in return for a commission fee. You can also consider selling your comics to a pawn shop, though they tend to pay less than other options. You can search online for local comic stores and bookstores; or, try the Comic Shop Locator. Events can be good places to sell comic books, especially those that have an enthusiastic audience packed with comic collectors. Comic conventions, in particular, are good places to take your comics; though you can also sell them at flea markets, trade shows, and other events. You might need to travel to attend, which incurs additional costs; but the trade-off is these events can be a lot of fun. Check out Comic-Cons coming near you and search online for other comic-related events in your area. Follow these tips to get the most out of your comic book selling experience. If you want a quick sale and fast cash, online and local comic book stores are good options. 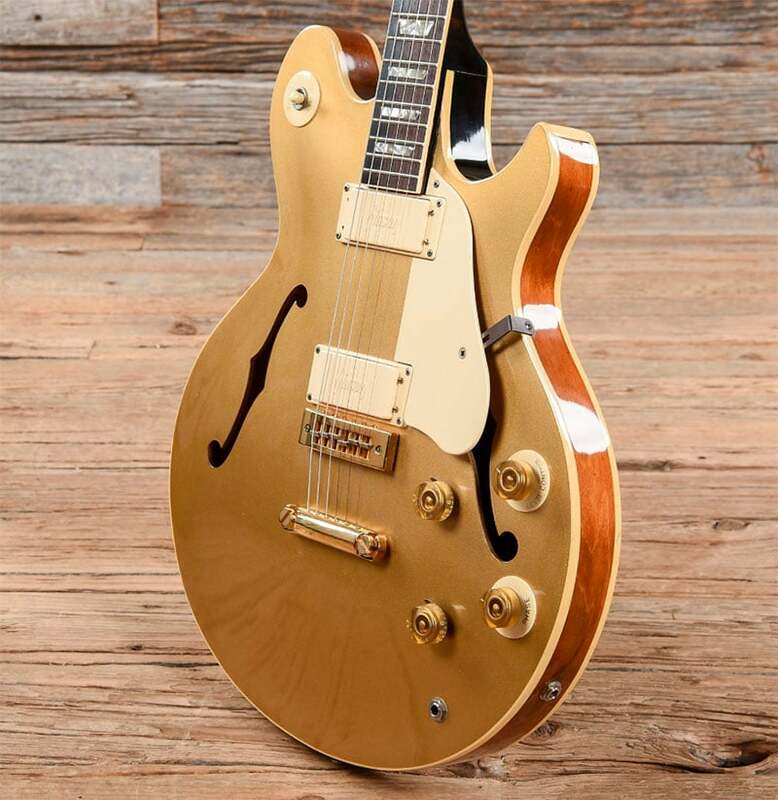 If you want the most money, you should consider selling directly to collectors or via auction. Bretall recommends not stating a specific grade and instead posting a lot of clear pictures so the buyer can determine what they think the grade is. “If the seller does not advertise a grade, the buyer cannot disagree with that grade,” he says. Be sure to carefully vet any buyer before you sell your comic books, and never send valuable comics in the mail without getting paid (or escrow) first. If you meet buyers in person, do it in a well-lit, public place. Keep your comics in mylar or acid-free covers to protect them from damage. If you have a highly-valuable comic, you can consider getting it “slabbed” in a hard plastic case that cannot be opened. Professional comic grading companies offer slabbing services. Store bulk collections in long boxes made specifically for comic collectors. Bretall says that while that $100 benchmark might make sense for professional dealers with bulk discounts at CGC and CBCS, everyday sellers might want to hold off unless their comics are even more valuable. Doing it yourself can net the most money, but it can be a tedious process. “eBay is one option, but it is time consuming and you have to deal with returns, fees, and waiting,” says Schwartz, who explains that selling to online comic stores can eliminate the hassles involved with the DIY approach. Though many comic books are only worth a few dollars, those dollars can add up: 100 comic books worth a buck apiece is still $100 cash. You might even have a diamond in the rough, worth hundreds, thousands, or even millions of dollars. Use the tips in this guide to enjoy the best possible experience and sell your comics for the best price!